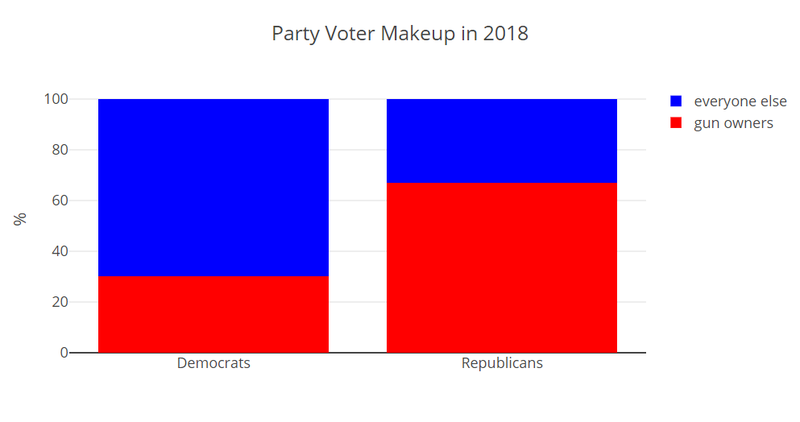 I made a simple tool that converts CNN's exit poll numbers into voter demographics for each party. As an example, 14% of the people were veterans and 86% were not. Of those 14%, 41% voted democrat. Thus, 14%*41%, or 5.74% of people who responded were veterans and voted for democrats. Similary, 86%*56%, or 48.2% were non-veterans and voted for democrats. Thus, 5.74% + 48.2%, or 53.9% voted democrat, and 5.74%/53.9%, or 10.6% of people who voted for democrats were veterans. Finally...four of the results (Climate Change, Immigration, Primary Issue, and Racial Advantage) were taken from another set of exit poll data.